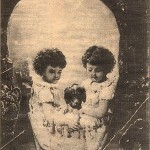 Check out this great collection of period skull illusions and Halloween costumes. 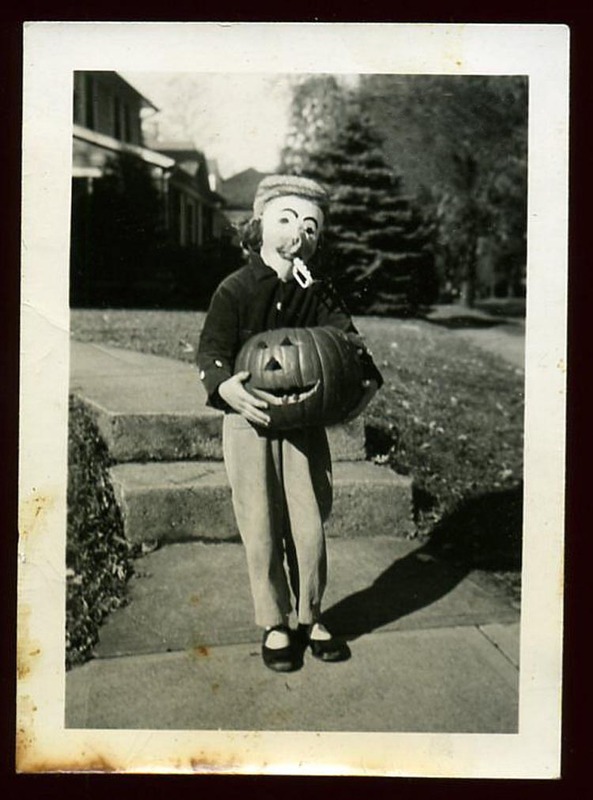 Some of those early century clowns will put the fear of God into you, I tell you whut. 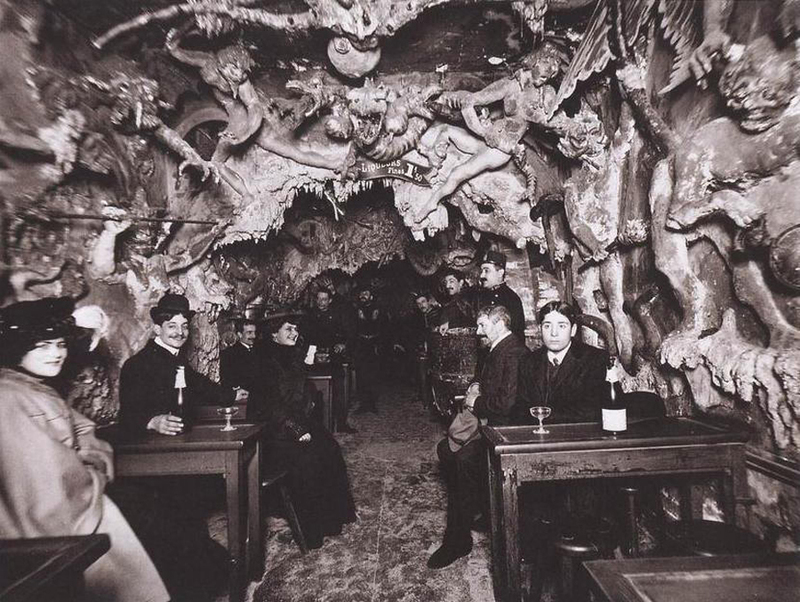 In other fun Halloween history news, Archaeology magazine has collected all kinds of different Halloween-themed witches-and-vampires finds and articles here. You might have even seen me blog about one of two of them in the past. I love this one about the urine and bellybutton lint in the witch bottle, and this article about evidence of spellcasting in Cornwall. 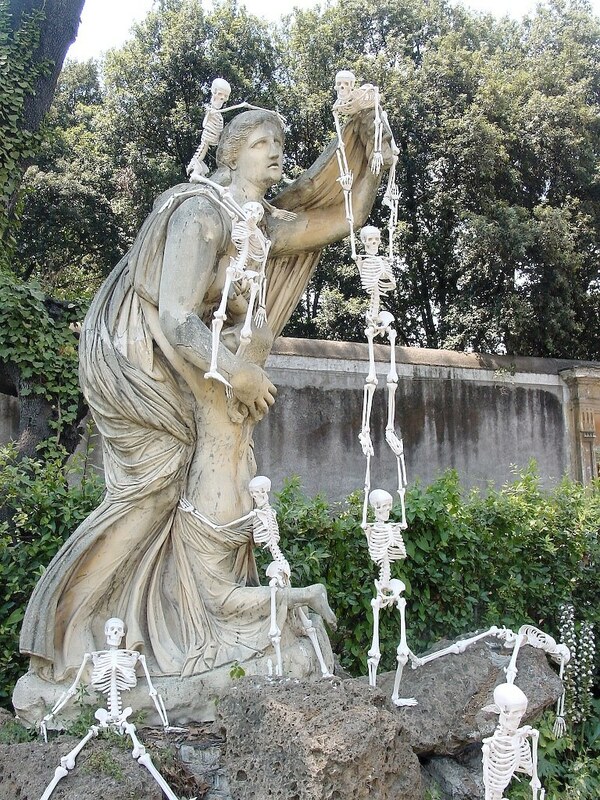 Lastly, enjoy the most adorable skeleton art from artist Olaf Breuning in the gardens of the Villa Medici in Rome. Villa Medici belongs to the French government, and they have a program where artists apply to live there for a while and just make art. The Villa and its grounds make for a dramatic backdrop in all kinds of media. I’ve never seen skeletons with so much joie de vivre. Everything at Lehmans must go! Investment bank Lehman Brothers imploded into dramatic bankruptcy last year, and now they’re finally selling the art off the walls. Surprisingly for such a notoriously spendthrift brand, especially one run by a CEO with a $15 million personal art collection, Lehman doen’t have a lot of bick ticket items on the block. Compared with other investment banks, however, Lehman Brothers didn’t make its corporate art collection a major priority, people close to it say. 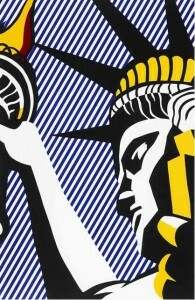 Many of the works are by unknowns, meant primarily to decorate wall space. UBS, by contrast, owns 40,000 art objects, including works by artists such as Jean-Michel Basquiat and Andy Warhol, which they loan to museums like the Tate in London. JP Morgan Chase is also known for having a significant collection, established 50 years ago by David Rockefeller. 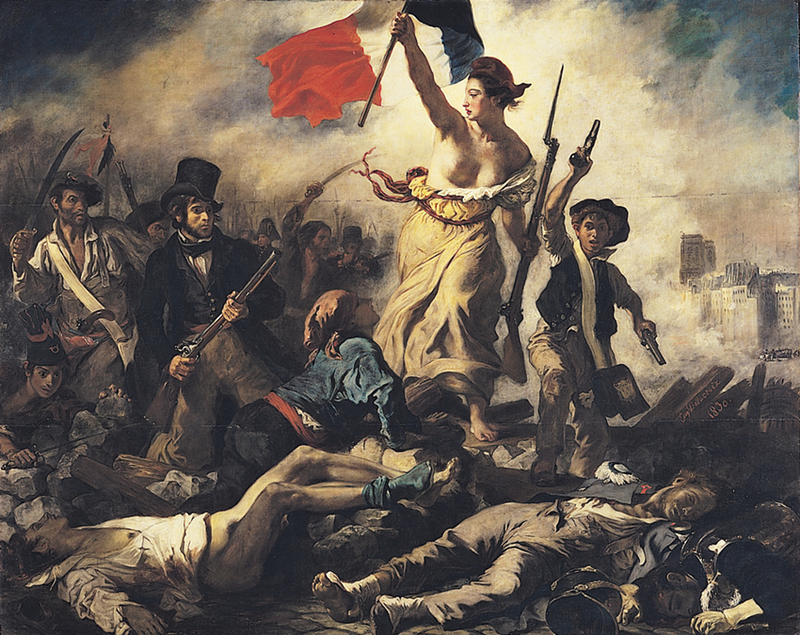 The collection comprises mainly 20th century prints, photographs and paintings. Some of the standout pieces include a print by Alexander Calder ($800-$1,200 estimate), a Statue of Liberty lithograph by Roy Lichtenstein ($15,000-$25,000 estimate), and a set of 9 Walker Evans photogravures of the Brooklyn Bridge ($1,000-$1,500 estimated), but there are plenty of neat pieces for a few hundred dollars. The auction is Sunday at Freeman’s auction house in Philadelphia. Browse the catalog to see if there’s anything you’d like to preserve from the collapse of the financial system. There will be two more Lehman sales after this, paintings and sculpture on December 6th and 450 more prints on February 12. Asterix, that indomitable little Gaul, is 50 today, as are his comrades-in-arms from the one village that resists being divided into three parts by Julius Caesar. Asterix got his big break in the magazine Pilote exactly fifty years ago today. 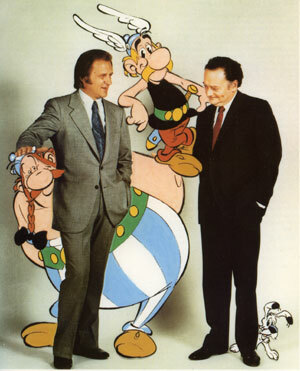 His creators, illustrator Albert Uderzo and writer Réne Goscinny, published the first book, Asterix the Gaul, two years after that, and basically never stopped. Even after Goscinny’s death in 1977, Uderzo continued to crank out the best-selling books. 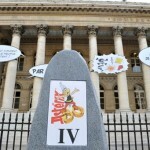 Asterix books have sold 325 million copies and been translated into 107 languages. Not to universal acclaim, I’m afraid. I’m not a purist, but there’s no question that the books lost some of their brilliant puncraft and wit when Goscinny passed away. The first 24 books are by far superior to the ones that came after. Asterix and Cleopatra is my forever favorite, but I cherish all the precious English translations from my youth. They never lost their luster even after I learned enough French to get the originals. Anthea Bell is the translator. There’s a great interview with her here. 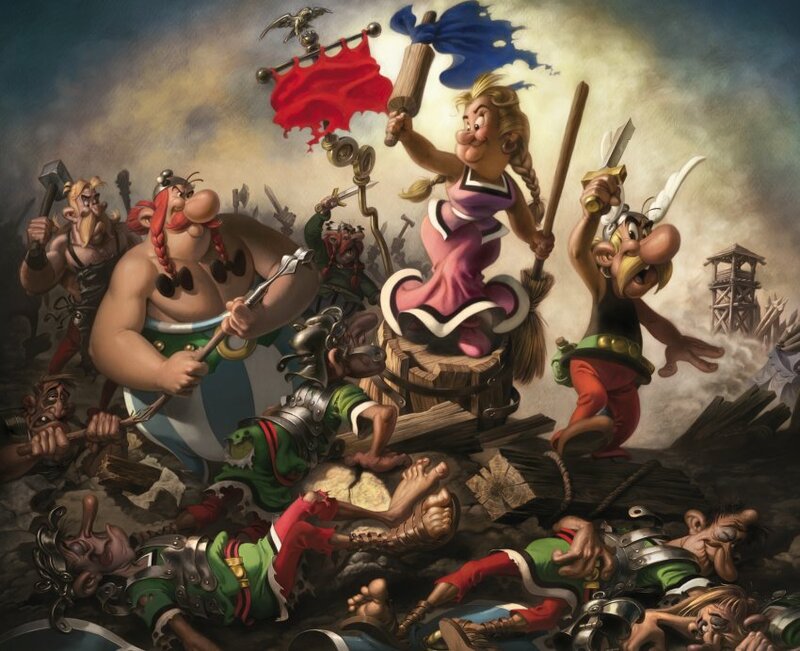 He may belong to the world now, thanks to great translators like Ms. Bell, but Asterix is an undeniable French icon, celebrated as an incarnation of the rebellious, stubborn, self-confident French national character. Paris has gone Asterix-mad this anniversary. 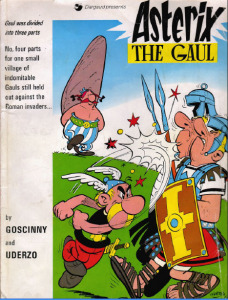 They’ve had all kinds of Asterix-themed events, including a sky drawing of the little Gaul done by an elite Air Force unit (video of the aerial stunt), a 50th anniversary book release which is a collection of Goscinny short stories rather than one full-length book. There’s even a musical called “Le Tour de Gaule d’Asterix” by Parisian composer Frédéric Chalin staged at Champs Elysees Theatre. 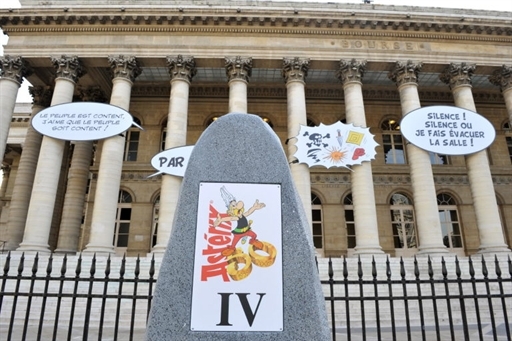 To add to the Astérix fervour gripping the capital, various symbols of the books such as giant menhirs … and speech bubbles of famous exchanges will be erected at eight locations including the Place de la Concorde and in front of the Eiffel Tower. Update: Oh yay, a slideshow! The menhir with faux hieroglyphics is just adorable. 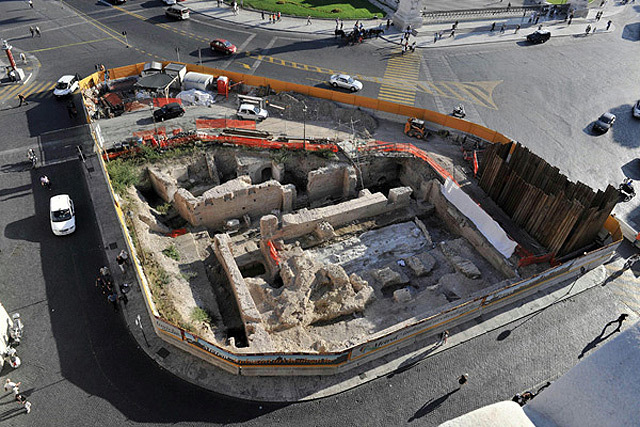 The Musée de Cluny doesn’t have much of a website, so those of us not in Paris today will have to be content imagining the thirty original plates by Uderzo and the handwritten and typed scripts by Goscinny set in what was once a Roman frigidarium. 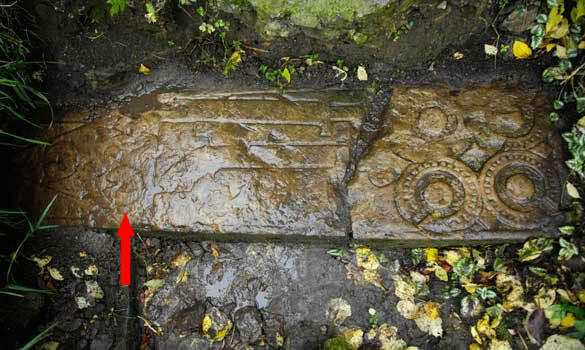 Builders reinforcing an old wall near a ruined church in Temple, Midlothian, have uncovered a stone carved with strange symbols. It’s a flat, rectangular stone, possibly a sarcophagus lid. The carvings look vaguely Viking, vaguely Celtic and are vaguely dated to the 10th, 12th, 13th or 14th century. Since it was found near the ruins of what was once a Templar preceptory, there’s a certain Da Vinci Code intrigue to it. Historian and author John Ritchie said the stone raised many questions. “It is a crude carving, quite primitive, but I have never seen anything like it in my life,” he said. “It has a whole series of symbols on it and the symbols are very interesting. Nobody really knows what they mean, although there’s speculation that they might be sheep shears or hawking bells, perhaps carved on a knight’s headstone. Expert David Connolly, of Connolly Heritage Consultancy, said he believed the stone was from the 13th or 14th century. “It is a significant site because it was the Templar Preceptory for Scotland,” he said. 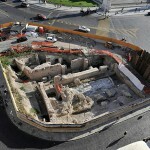 “I think from the condition, it may once have been set inside the church – which was once much bigger,” he added. Or it could all just be a big lark carved by wacky kids in the throes of 70’s videogame mania. We just don’t know, and we won’t know anything about it for sure until historians get to do some serious analysis. The stone is still in place, and the landowner, Crispin Miller, says when he restores the churchyard he’ll put an arch over the stone so historians can study it further in situ. 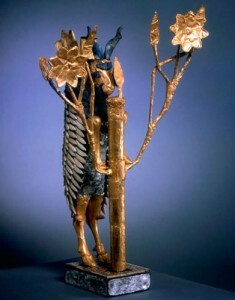 Royal burials uncovered at Ur in the 20’s were replete with thousands of courtiers buried along with their royal masters. 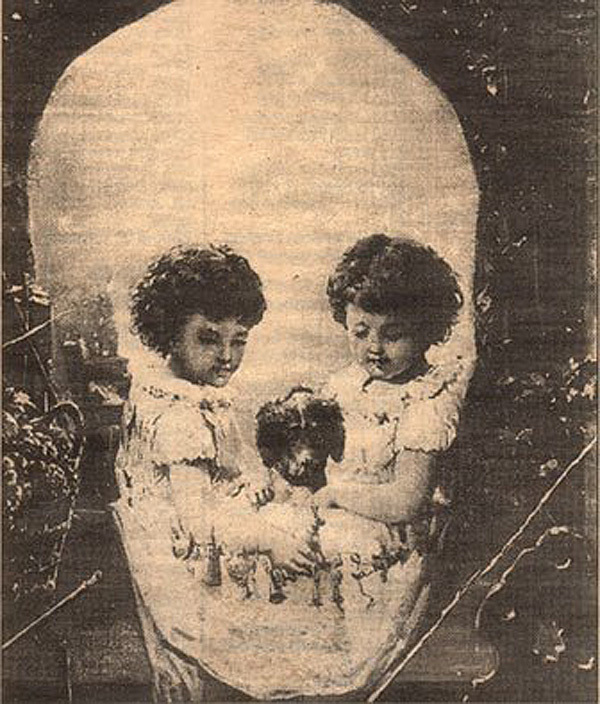 C. Leonard Woolley, the director of the excavations at the time, thought the careful burials indicated a solemn, peaceful death, like maybe they all got dressed up pretty, marched into the tomb and took poison. For years that has been the convention wisdom. The remains were in many tiny pieces, crushed by the pressure of tons of earth and later burials that compressed the skeletons over the 4500 years since their deaths, so archeologists really haven’t had a chance to use any modern scientific tools on them. Now the University of Pennsylvania is putting on an exhibit of artifacts from Ur, so researchers took the opportunity to take CT scans of skull pieces from a man and woman. 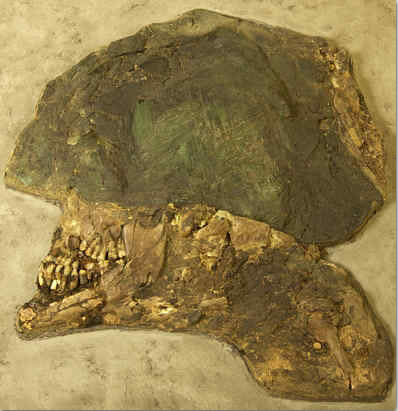 The CT scan data was used to make a 3D image of where the skull fragments fit together. The research also turned up evidence that some of the sacrificed courtiers had been baked (as in heat, not as in weed) and treated with a mercury compound, which suggests a primitive mummification procedure, probably necessary to keep the bodies from decomposing during long funerary rituals as well to help pose them for banquet tableaux and the like. The Penn exhibit includes the two highly decorated skulls, plus 220 other objects from the site. They have a wonderful companion online exhibit too, featuring lectures, zoomable pictures of gold jewelry, pre and post-conservation pictures, details about the original expedition, details about the current research, and oh so much more. There’s at least a semester’s worth of college in that online exhibition, I swear. Blackbeard’s flagship, the Queen Anne’s Revenge, ran aground near the Beaufort Inlet in the Inner Banks of North Carolina in 1718. 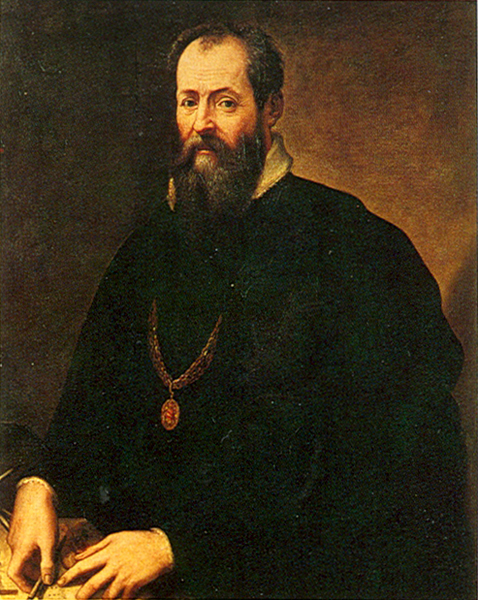 Rumor was that he intentionally wrecked his ships to kill off some of his crew and keep a larger cut of the treasure after accepting a pardon. Wreckage of a ship from that time thought to be the Queen Anne’s Revenge was found in the Beaufort Inlet in 1996 during dredging operations that removed the layers of sand that had kept it safe and snug for hundreds of years. Some artifacts came loose during the dredging, but researchers didn’t want to pull any of them up until strictly necessary. Finally Thursday divers pulled up a small anchor that they feared would be washed away in storms next year. It’s a grapnel, a four pronged anchor likely used for smaller ships to transport people or cargo from ship to ship or ship to shore. As more artifacts are recovered researchers are more and more confident that the wreckage is what remains of Blackbeard’s ship. 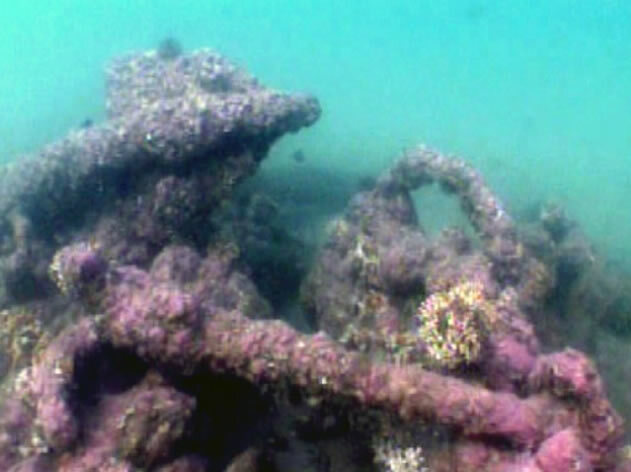 The 160-pound anchor is one of the largest pieces recovered from the ship so far, but researchers will eventually bring up very large pieces, including cannons weighing about one ton each, Wilde-Ramsing said. 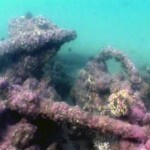 The QAR Project is a state-funded research organization that plans to raise 700,000 individual artifacts from the wreck. They already recovered quite a few small pieces earlier this year, like navigational instruments and a thimblefull of teeny gold pieces. 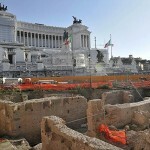 They estimate it will take as long as 7 years to recover them all. The grapnel was on display just on Thursday for a lucky few who had the chance. Now begins the conservation process. 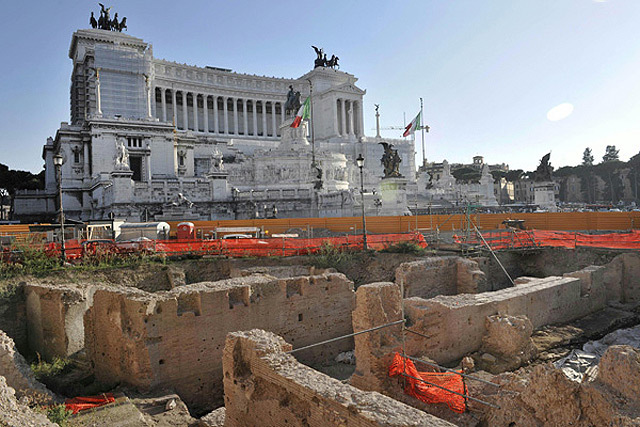 The cleaning will take 6 months, then it will sit in a special treated bath for 2 years. Only then will it be ready to go on permanent display in a museum, probably the North Carolina Maritime Museum in Beaufort. It’s the usual slow news Sunday, so I’m going to keep it short and sweet today. 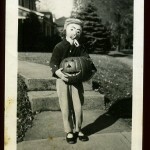 Second, I’ve spent many hours today browsing this fantastic blog of iconic photographs. 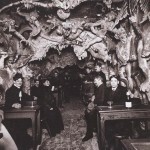 There are some great moments of history captured on this site, and the entries provide deeply satisfying explanations of the photographs and photographers, not just quick captions. For an awesome overview of some of the icons covered in the blog, see “We Didn’t Start the Camera Fire” which links to any entries referred to in Billy Joel’s paean to the history of his lifetime, We Didn’t Start the Fire. 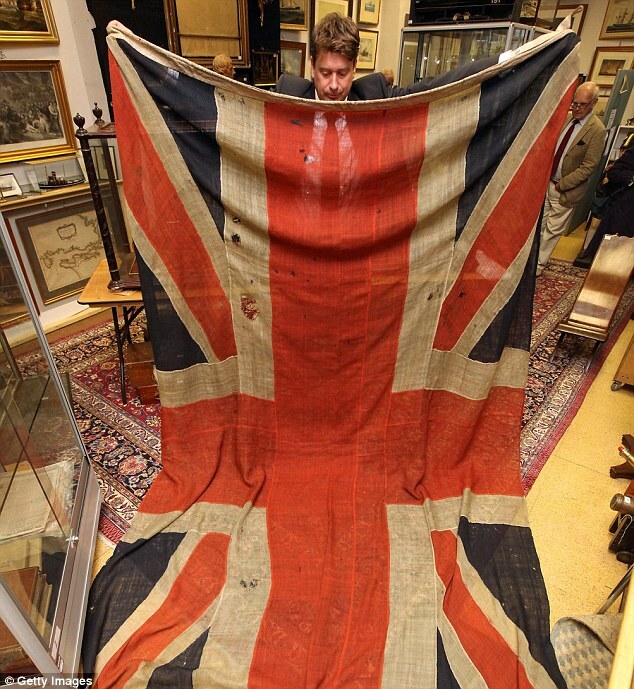 Yesterday was Trafalgar Day, the 204th anniversary of the and patriotic fervor was in the air at Charles Miller Auctions when the last Union Jack flag to survive the Battle of Trafalgar sold for £384,000 ($638,000), 21 times its highest estimate. Gorgeous, isn’t it? It’s riddled with bullet holes and splinters from its final battle. It’s 7’4″ by 11’7″, and was actually sewn together from 31 panels by the crew of the HMS Spartiate. The 540-man crew lowered the flag from the Spartiate jackstaff after the victory over Napoleon and presented it to Scottish Lieutenant James Clephan for his valorous performance. Being presented the flag was a rare honor, almost an unheard-of honor for a junior officer. 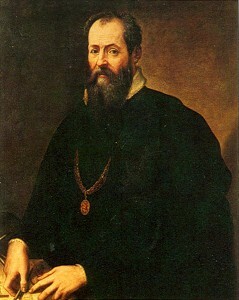 Lieutenant Clephan was highly respected by his men. He was one of only 16 of 300,000 press ganged sailors to rise through the ranks to ultimately become a captain, a remarkable ascent for a Scottish apprentice weaver forced to join the Royal Navy against his will. The casualty numbers suggest the Spartiate was very well-commanded indeed. The HMS Spartiate suffered 3 men killed, 22 wounded (a 4% casualty rate), while Admiral Nelson’s ship, the HMS Victory lost 57 killed (including Admiral Nelson himself), 102 wounded (a 19% casualty rate). James Clephan’s descendants kept the flag in a dark drawer for the 150 years after his death, so not only are the colors preserved, but it still actually smells of gunpowder from the Battle of Trafalgar. The owner has moved to Australia now and doesn’t have the wherewithal to conserve it properly, so he decided to sell it. He was thrilled with the reserve price of £10,000 ($16,600) — chump change in hindsight — and even the top estimate was a mere £15,000 ($25,000). The bidding was fierce. A hundred people packed the small room, and all 12 phones were used to take long-distance bids. The winning bid came from an anonymous US buyer over the phone. He’s not likely to get his hands on it any time soon, though. According to the auctioneers, the buyer plans to contact the British government to arrange for the flag to be displayed in the UK. He’d better get on that, because the Department for Culture, Media, and Sport is likely to put a three month export ban on the flag if the buyer tries to take it out of the country, so he won’t have a ton of options. British institutions will then be allowed to match the winning bid, possibly using lottery grants to supplement their relatively meager offerings. The National Maritime Museum at Greenwich, for instance, topped out at £40,000 ($66,000). It’s going to need a lot of help to match the final selling price.